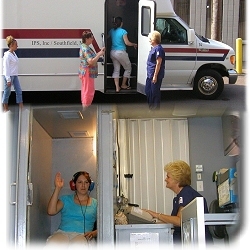 IPS offers convenient and cost effective services to protect your employees hearing! Audiometric testing is an integral part of any Hearing Conservation Program because it is the only true measure of the programs effectiveness in preventing occupational noise-induced hearing loss. IPS charts the results and provides the employers and employees with test results in a easy to understand format. A baseline audiogram is the audiogram against which future audiograms are compared. 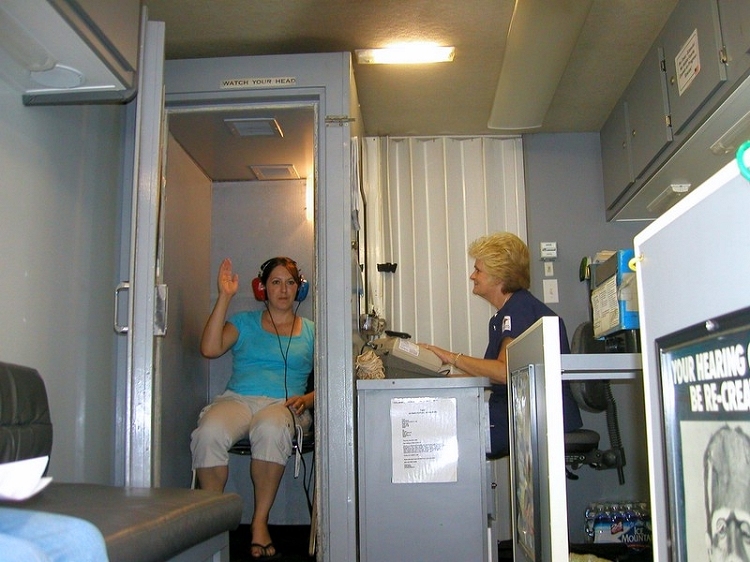 If a company utilizes a mobile van for providing their hearing tests, the new employees have up to one year from the beginning of employment to have their baseline test recorded. Until that time, those new hires who are exposed to noise must wear appropriate hearing protection. The baseline audiogram is a pure tone, air conduction, hearing test of 500, 1000, 2000, 3000, 4000, 6000 Hertz (Hz). The tests at each frequency are taken separately for each ear. IPS schedules clients annually after obtaining the baseline audiogram. Each employee's annual audiogram is compared to their baseline audiogram to determine if a standard threshold shift has occurred. Our copyright protected 8-year fold over audiogram record helps as a visual aid to help employees understand the results. If an annual audiogram shows that an employee has suffered a standard threshold shift, the following steps must be taken (unless a physician determines that this shift is not work related or aggravated by occupational noise exposure). The employee shall be referred for a clinical audiological evaluation or an otological examination, as appropriate, if additional testing is necessary or if it is suspected that a medical pathology of the ear is caused or aggravated by the wearing of hearing protectors. The employee shall be informed of the need for an otological examination if a medical pathology of the ear that is unrelated to the use of hearing protectors is suspected. The IPS team will be responsible for coordinating your companies Hearing Conservation Program (HCP) with expert advice. This includes informative booklets, videos and links to reliable noise protection devices and supplies. Industrial Paramedical Services has been providing complete Multi-Phasic Mobile health testing services to over 800 Midwestern plant facilities since 1975. 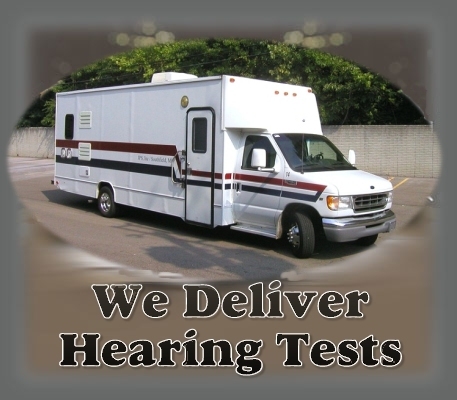 We specialize in providing on site hearing tests utilizing copyright protected audiogram records. Our clients include major manufacturers in the automotive, utilities, construction, petroleum, aero-space, airport workers and metal fabricating fields. Our exclusive designed 8 year audiogram record chart can be easily folded into a quick visual aid to educate your employee as to how well they are protecting their hearing. Early detection of hearing loss can alert both parties to the need for using better hearing protection devices like combining ear plugs with ear muffs. IPS also can furnish your company with easy to comprehend literature and videos as part of a complete health and safety education program.